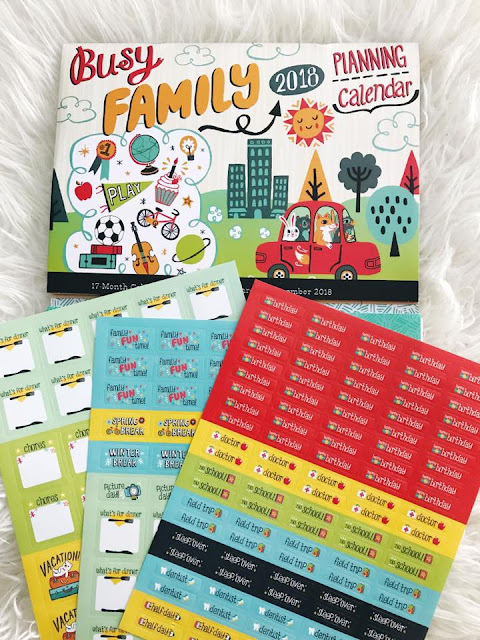 I'm not sure why I've waited this long to get a family calendar -- I've used a regular planner for many, many years. 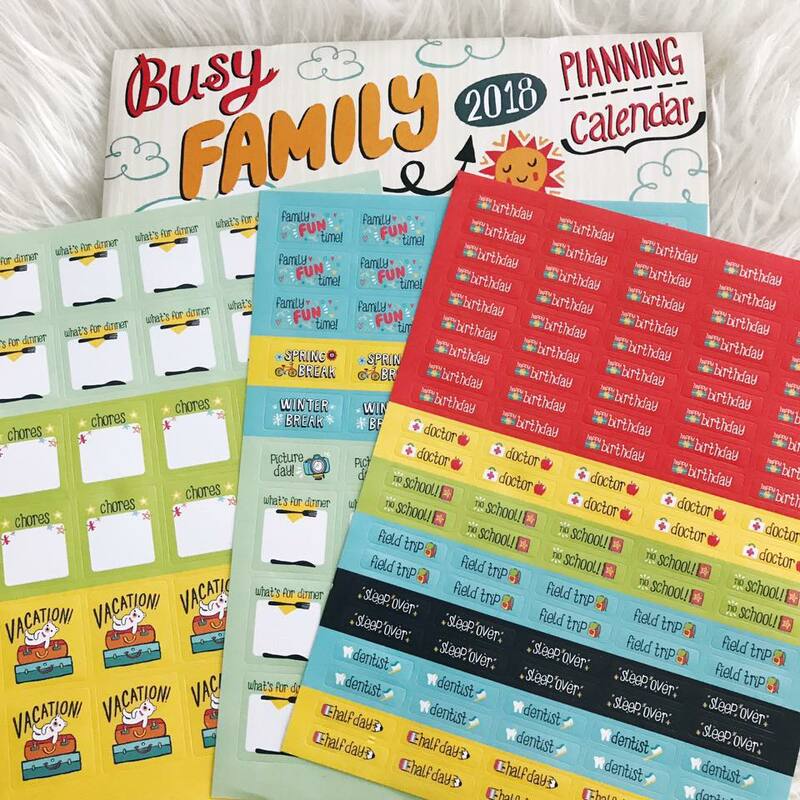 This 17 month Busy Family Calendar will help us stay organized and keep track of everyone's activities and events. 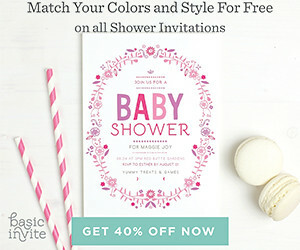 Each day is color coded so you can assign a color and slot to each family member making it easier for everyone to know what's planned for each day. The calendar also includes lots of stickers that help make planning and remembering up coming events fun and easy. 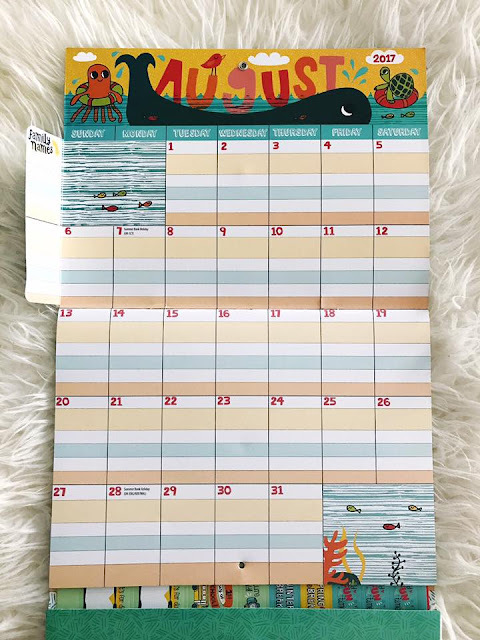 There's also a handy sleeve pocket on the back of the calendar that can be used to store the stickers and other important papers. My new calendar is going in my kitchen so we'll all know exactly what's coming up.